The director of the Molodist film festival has said the fire that broke out on October 29 in Kyiv’s oldest cinema, the Zhovten, was an act of provocation. "I have two theories as to who committed this crime: according to the first one, it was raiders who are planning to build a new shopping centre on the territory of the old cinema building, and according to the second, it was political forces trying to discredit Ukraine on its way to European integration,” festival director Andriy Khalpakhchi told journalists on Friday. 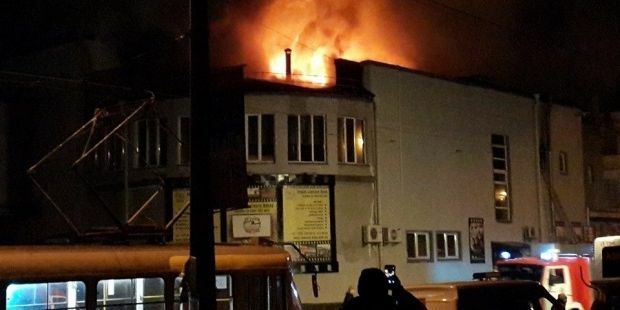 Kyiv police earlier said they suspected arson was the cause of the fire. The fire broke out during the screening of French movie about a transvestite, and members of the audience who escaped the blaze told media they thought the fire might have been started by anti-gay activists in protest at the showing of the film. Over 100 people were attending the performance at the time of the fire. There were no injuries to the moviegoers, but the cinema, which dates to the 1930s, was seriously damaged.